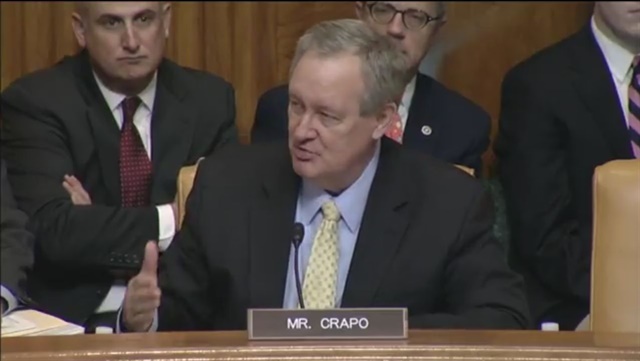 WASHINGTON, D.C. — Republican Senator Mike Crapo (R-Idaho) told reporters on Wednesday he’s getting closer to brokering a deal on bipartisan legislation aimed at rolling back parts of the Dodd-Frank Act, according to a Bloomberg report. The lawmaker, who chairs the Senate Banking Committee, is in talks with moderate Democrats Jon Tester of Montana, Heidi Heitkamp of North Dakota, and Joe Donnelly of Indiana about easing the compliance burden on community banks as well as regional lenders after talks with Democrat Sherrod Brown of Ohio broke down earlier this month. Tester told reporters a deal could be reached as soon as this week. For more, click here.